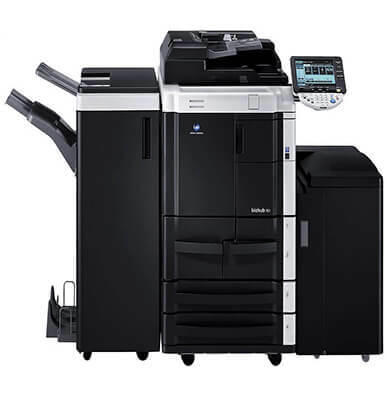 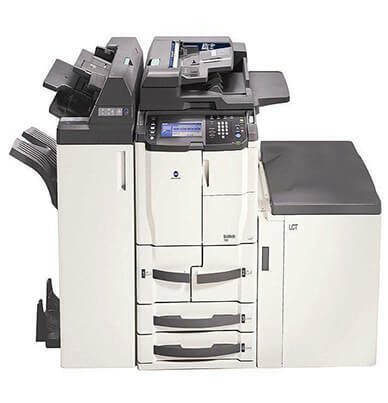 The Konica Minolta bizhub 751 is a standard copier and scanner that is great for growing office environments. 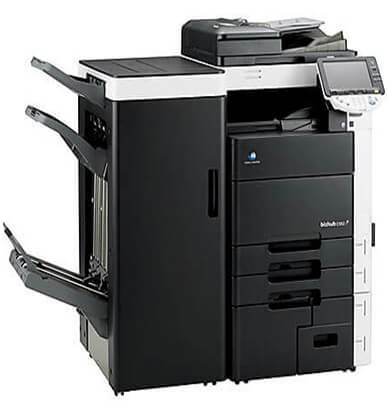 Optional features such as printing and fax capabilities will make the bizhub 751 the all-in-one solution for the growing business. 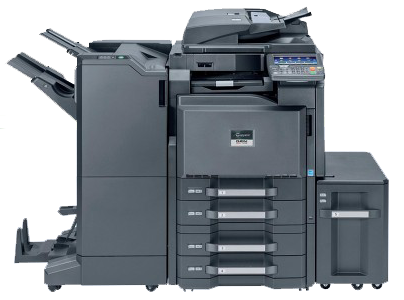 The fast print and scan output speed of 75 pages-per-minute will keep work flowing. 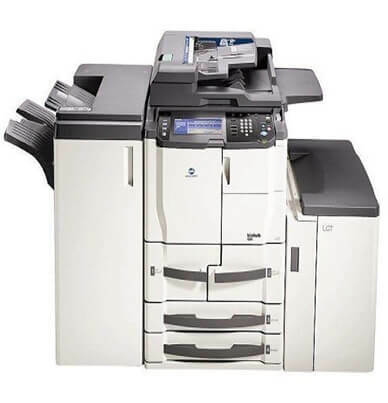 The standard memory of 1GB can be upgraded to 60 GB to allow users to scan documents into secure document storage on the bizhub 751. 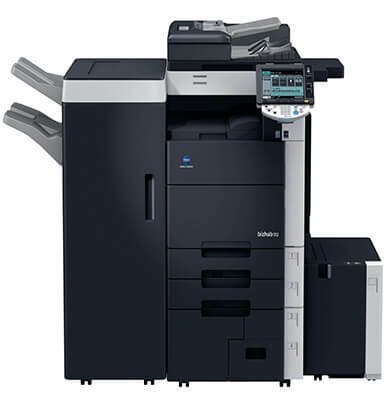 The bizhub 751 finishing options gives businesses everything they need to print and finish projects in-house. 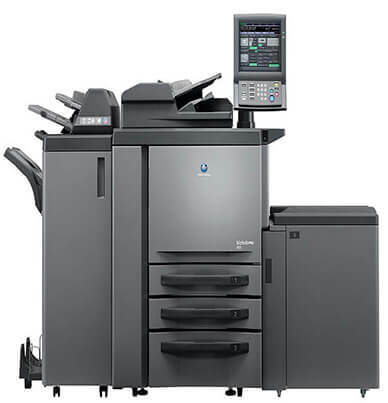 The large standard paper capacity of 3,500-sheets is easily upgraded to 7,600-sheets with additional paper trays. 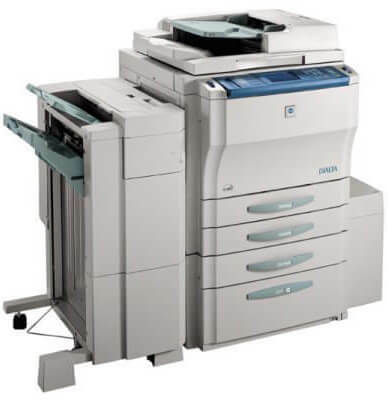 Paper sizes up to 11″ x 17″ is easily loaded in the four standard drawers and 2 optional paper trays. 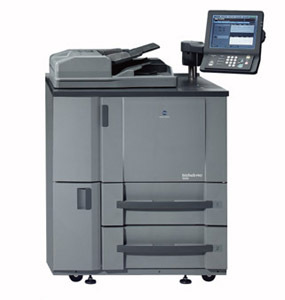 The bizhub 751 100-sheet bypass tray will accommodate envelopes, transparencies, labels and heavy stock. The bizhub 751 is built with Konica Minolta “green” technologies. 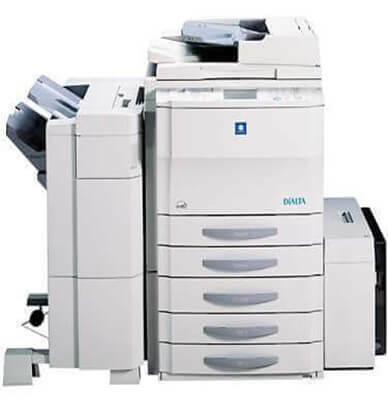 The toner save mode will reduce the toner used on less critical documents. 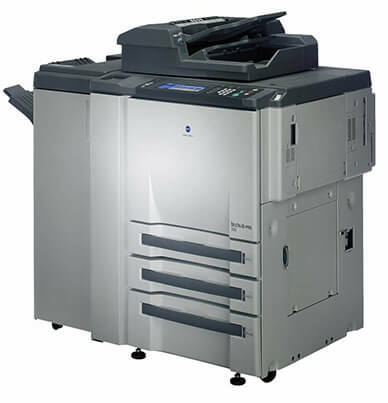 The Precision premium compatible toner is easily replaced without interrupting projects. 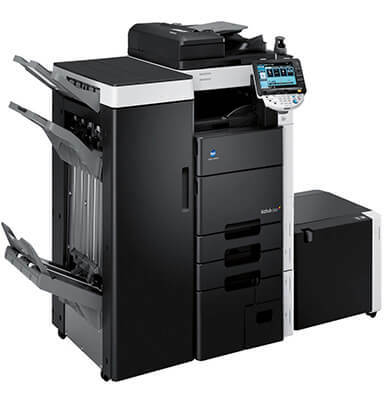 The bizhub 751 black toner (TN-710) cartridge has a generous estimated yield of 55,000 pages at 6 percent coverage. 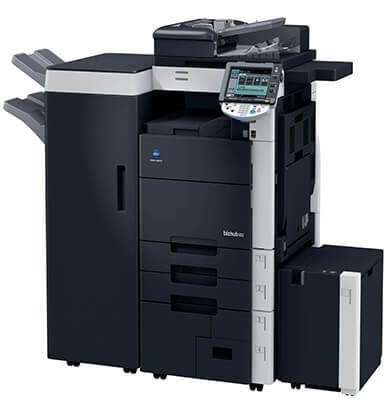 The genuine Konica Minolta brand has the same yield and is also available.